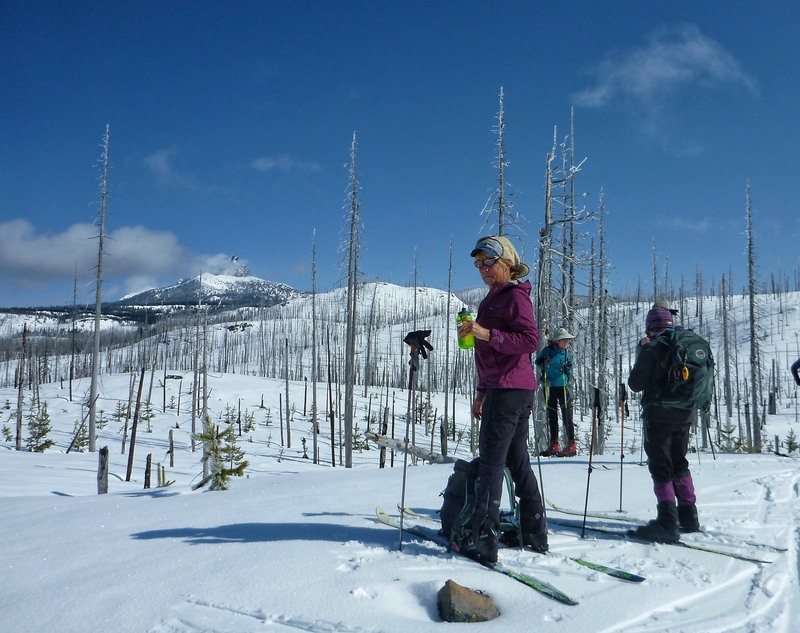 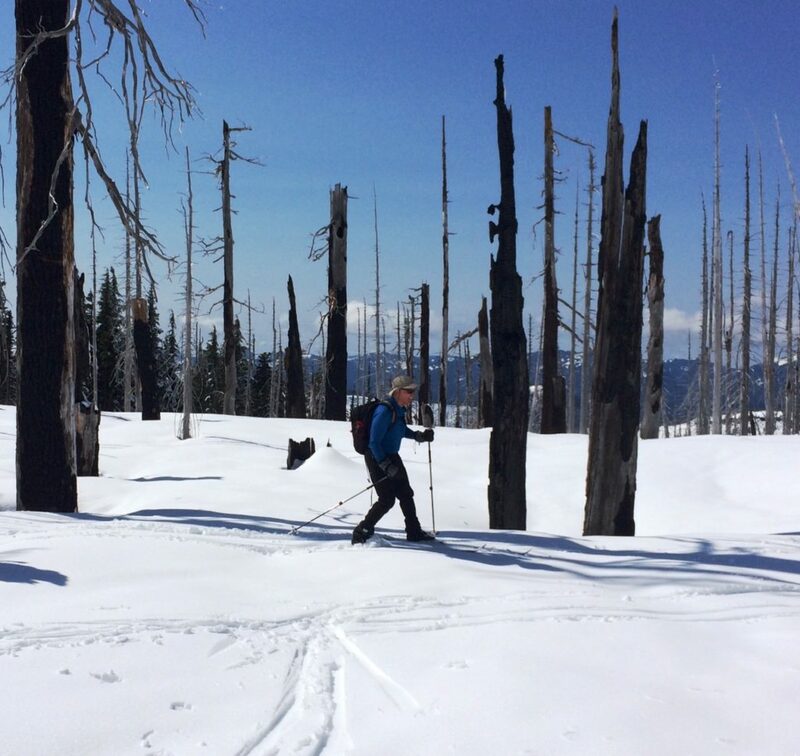 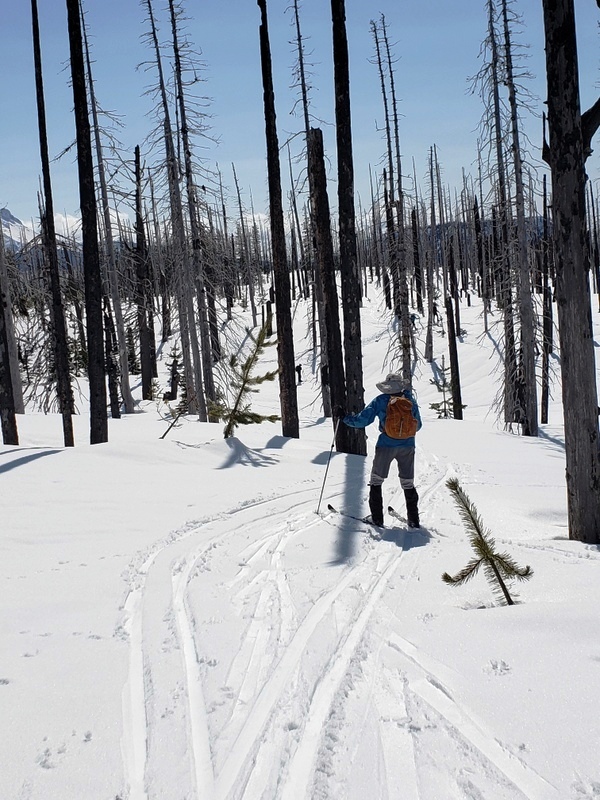 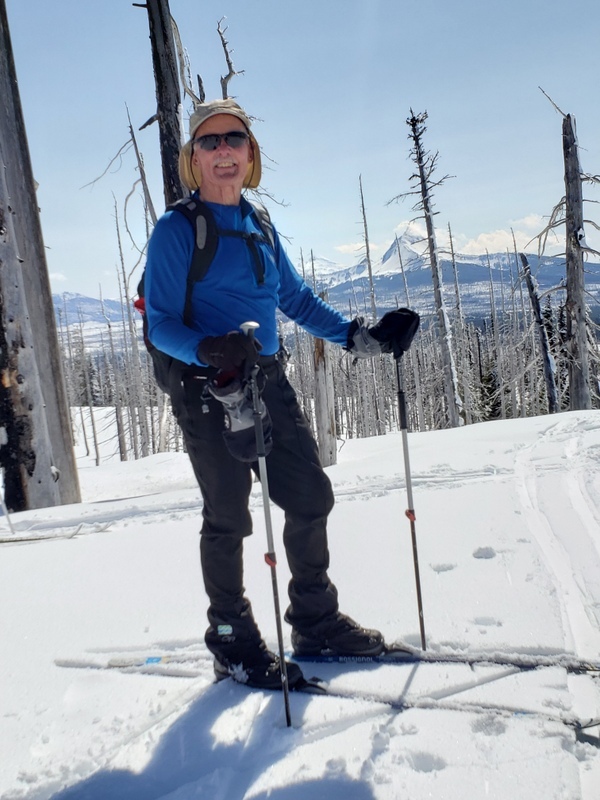 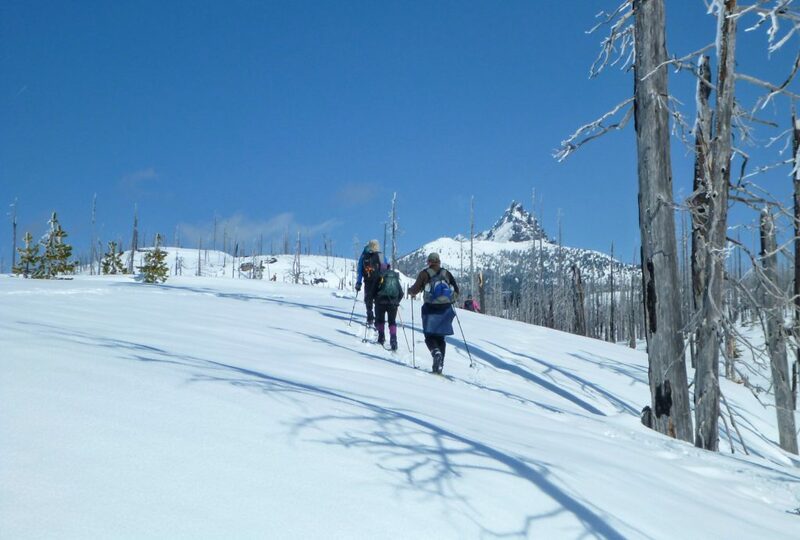 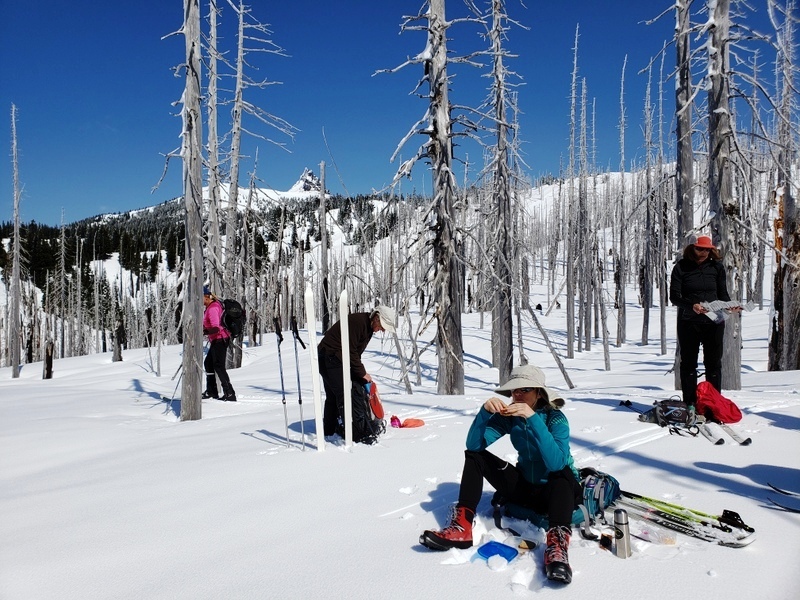 Nine CONC members skied the backcountry from North Santiam Sno-Park toward Three Fingered Jack on Sunday, March 26. 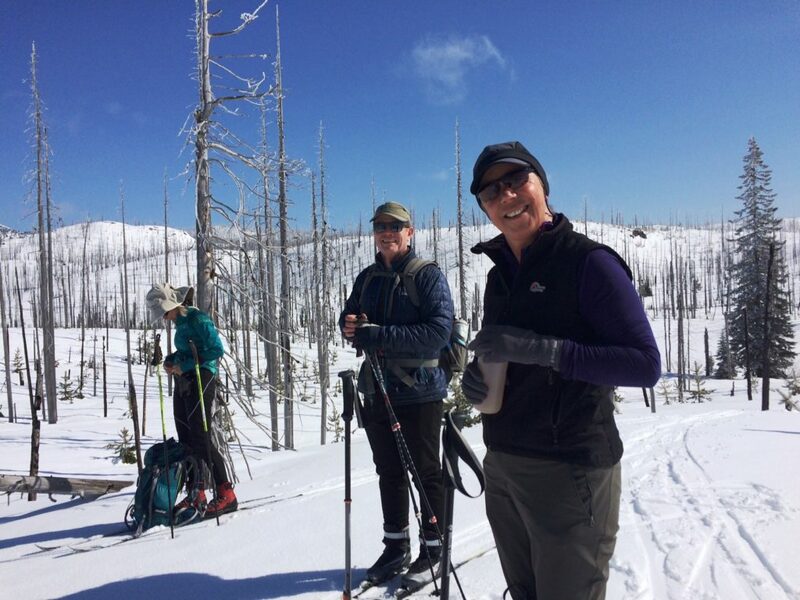 “Conditions were ideal with about one to two inches of fresh snow on top of a compacted base, blue skies and pleasant temperatures,” says group leader Susan Sullivan. 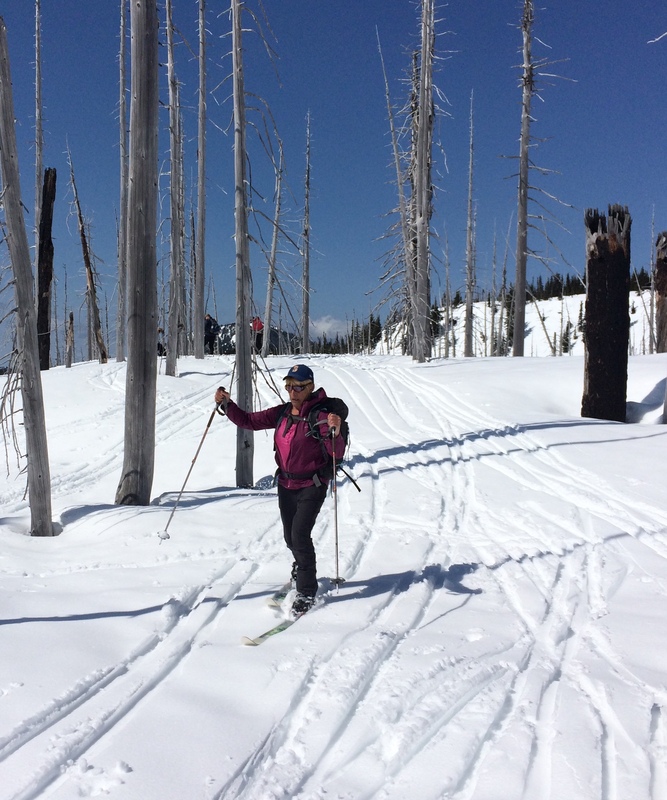 “We skied to a small lake on the west side of the ridge, and had a fun — but all too quick — downhill run back to the parking lot. 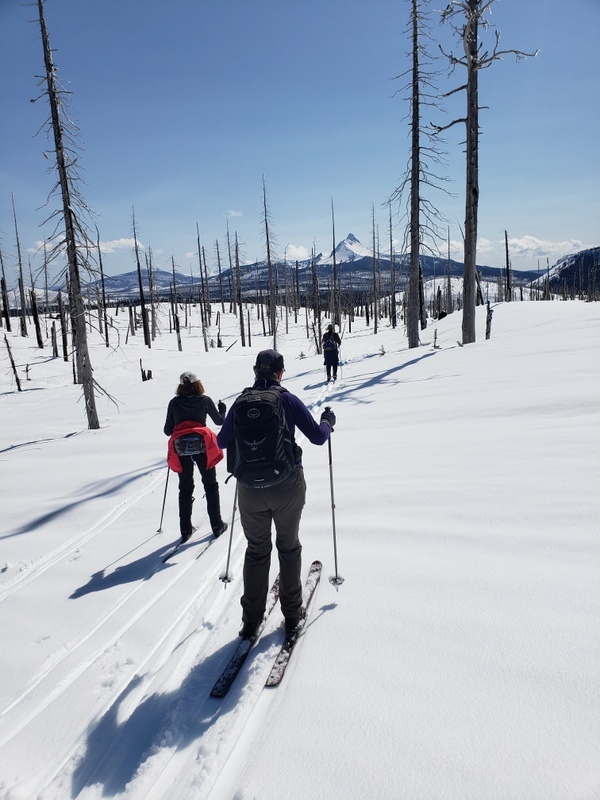 The group skied through an area charred by a forest fire in the past, but the openings meant mountain views for much of the day.